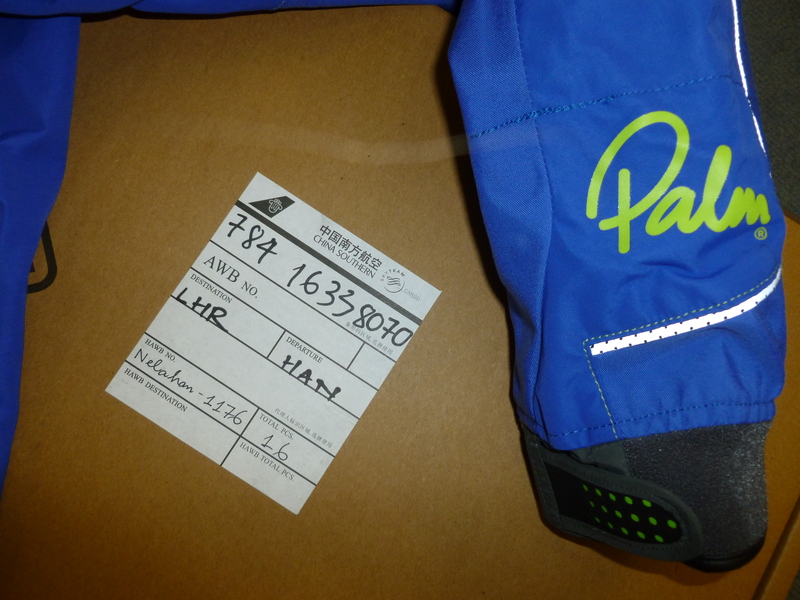 Given we weren’t expecting it until January we got a nice surprise today when the new Palm Atom Drysuit arrived! 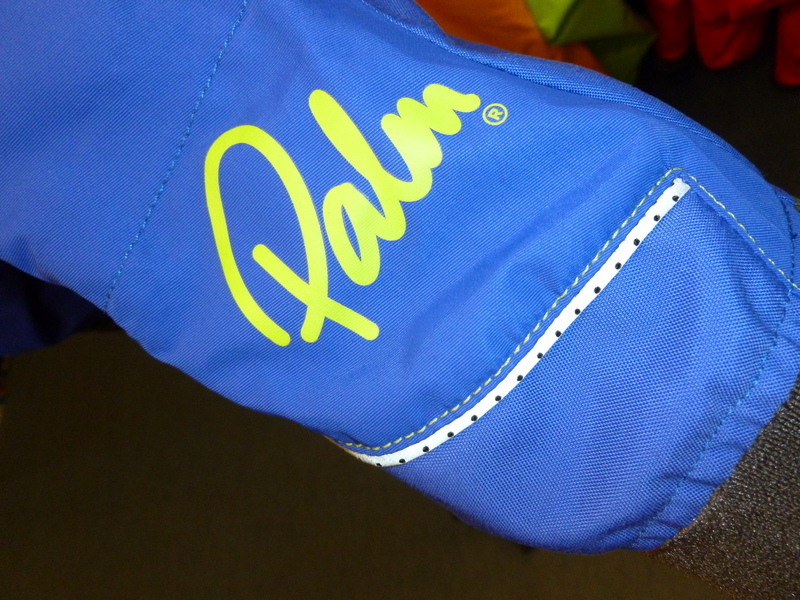 So new in fact Palm don’t, as I write this, even have it on their website so here is our little overview and a few pictures…. 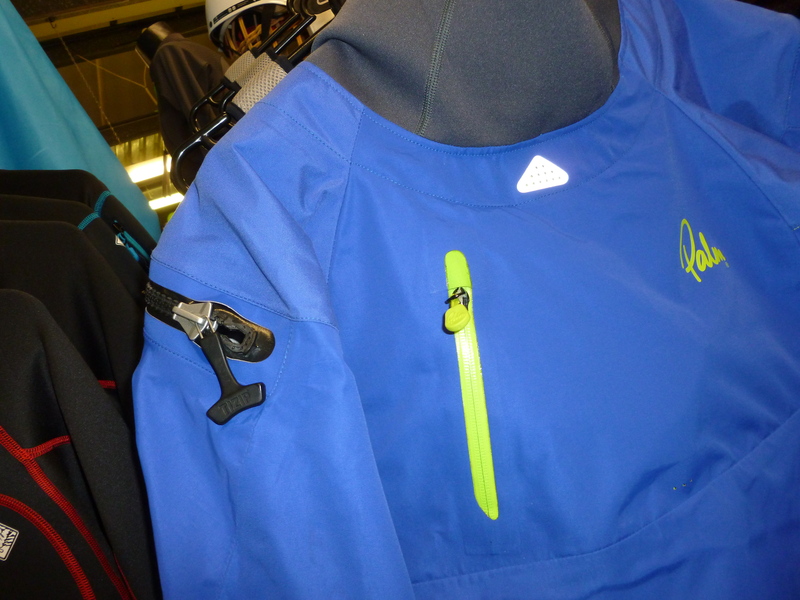 The Atom Suit replaces the Torrent in the Palm line up for 2016 (We’re also expecting at the end of December 2015 the Atom Suit for women replacing the Element suit) and has been designed with whitewater paddlers in mind, made from Palm’s XP4 -layer fabric, featuring a plastic rear entry zip and relief zip, latex neck and wrist seals and a twin waist. Aside from a nice colour and graphic update, the biggest change to the suit is the way the trousers have been put together. 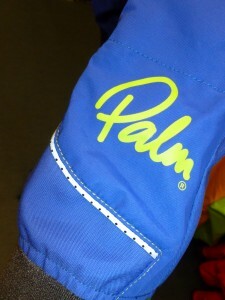 Palm have gone for a much simpler, straighter fabric pattern on the legs reducing the amount and complexity of the seam taping making it less likely you’ll have issues in this area. 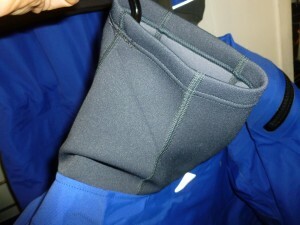 Tweaking the position will also help reduce wear on the seams again hopefully extended the life of your suit. Viewed side by side the legs of the suit are noticeably changed from the curved panels of the Torrent but we didn’t find the new pattern uncomfortable or restrictive in anyway with a generous amount of room. 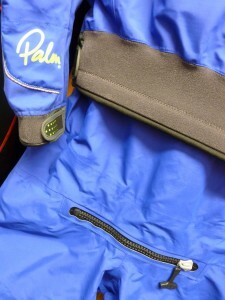 The upper part of the suit has remained largely the same using Palm’s comfortable and popular fit as found on the Atom Jacket with a little added room in the shoulders to accommodate the curved zipper. 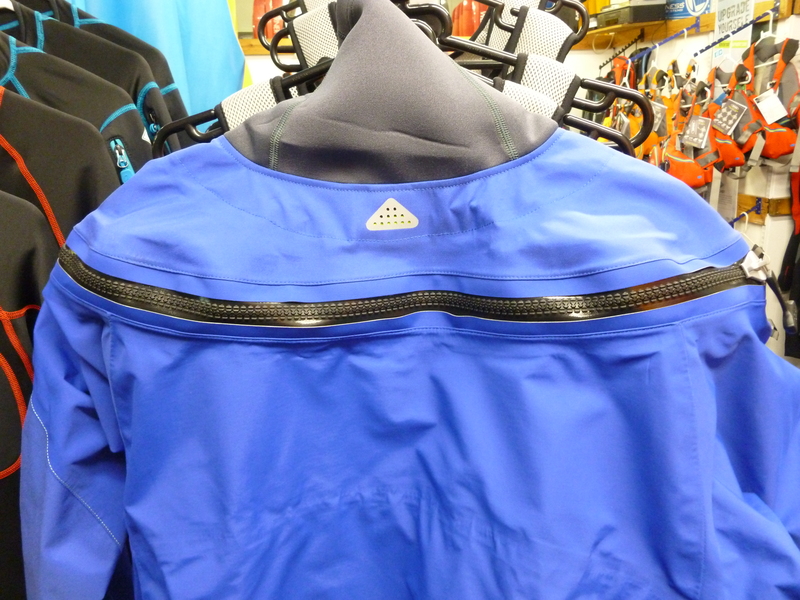 A few other less obvious updates include the addition of 320d Nylon panel reinforcing the area above the entry zip across the shoulders, getting rid of the zip flaps and changing the outer collar to a neoprene cone as opposed to the velcro adjustment found on the Torrent for a cleaner and warmer finish. The Atom keeps heavier duty panels on the soles of the socks, knees, seat of the pants and elbows with velcro adjustable cuffs to protect the latex wrist gaskets. No zipper cover, what do you think? 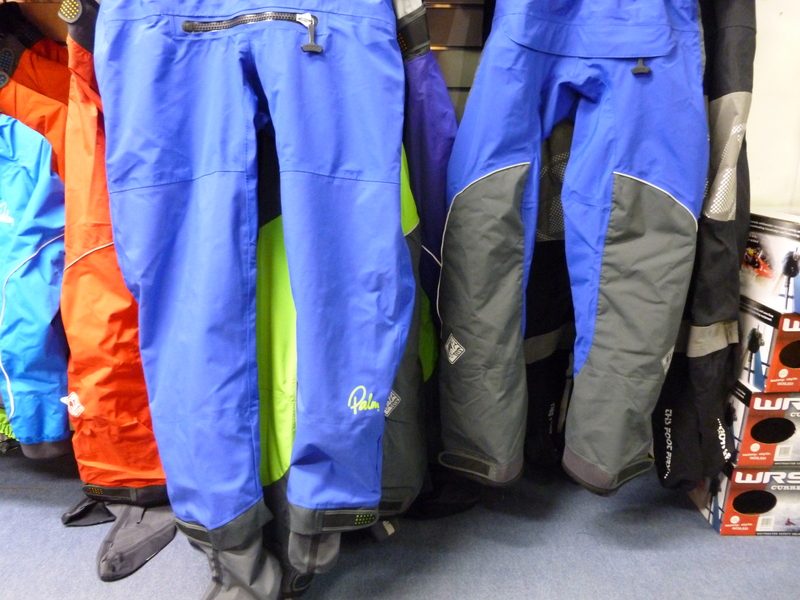 With the Palm Atom now on the shelf we have at least a dozen options available in the shop from Palm, Peak UK, Typhoon, Yak and Kokatat for you to have a look at so if your thinking about a drysuit this winter pop in for a cup of tea and a chat! 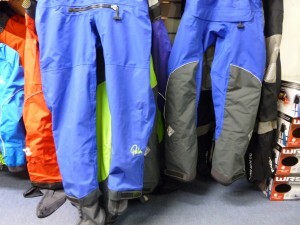 The mens relief zip, the Womens Atom with drop seat is coming soon! Previous Should I get a Kokatat Meridian or Idol Drysuit this winter?